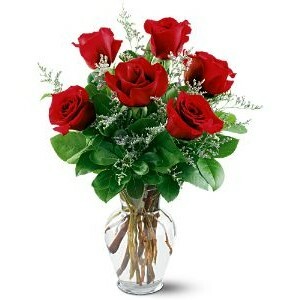 Half dozen red roses hand arranged in a clear glass vase. Long stem red roses with babies breath and mixed lush greens and tied with a bow. WOW them with breathtaking roses from FLOWER PETALS!! 18 Red roses hand arranged in a clear glass vase. 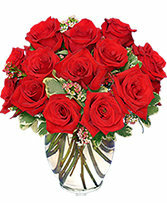 Each arrangement contains 18 red roses and mixed greenery. 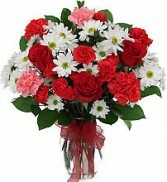 Lively bouquet of long lasting daisies, carnations, mini carnations, and 3 red roses. 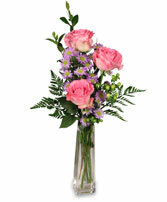 This bright bouquet is hand designed in a glass vase with lush mixed greenery.